The report of the Commission on Future Delivery of Public Services, chaired by Campbell Christie, was published today. I will declare an interest on the grounds that I was an expert advisor to the Commission. That doesn't mean I agree with every proposition in the report, but I do believe that it offers a credible road map to reform. You can read my UNISON Scotland briefing on the report for a summary and our initial response. This report isn't a quick fix. Anyone expecting short term proposal for cuts or maps setting out boundary reorganisations, will be disappointed. It sets out principles of reform over the medium to long term. It is also firmly based on the Scottish public service model. No marketisation or Big Society here. As Campbell Christie said at the launch, this report is firmly based on collective responsibility and social justice. The report states that "Public services are central to the fair and just society to which we aspire." Scotland's biggest problem is that we don't have a fair and just society. That's why the report emphasises the importance of tackling inequality, both income and discrimination inequality. Not just because of the cost, although that is important because some 40% of public spending addresses the failure to prevent negative outcomes for the bottom 20% of society. But also because we know from international evidence (Spirit Level et al) that more equal societies do better on all counts. So it is vital for all of us. The report sets out the huge financial challenges caused by the ConDem cuts, but also the demand pressures caused by the recession and demographic change. No reform of public services can possibly bridge the £60bn+ gap and the report recognises that public service reform is only part of the solution. There is a better way to tackle the deficit and we should look there for those solutions. There is a lot in the report on engagement with people and communities in the delivery of services. Probably too much, as you could be forgiven for thinking this was a report on community development - not public services. None the less, involving people and communities in the design and delivery of public services is an important principle and one that UNISON has long argued for. In doing this we need to recognise the limitations of this approach to certain services and the willingness and capacity of people and communities to participate. The report is very clear that this approach is not a replacement for mainstream services, in contrast to the Big Society in England. The biggest idea in the report is service integration. I was personally struck by the number of staff who flagged this up at Commission events, and while we saw some good examples, they were the exception rather than the rule. Making it happen is trickier and the report goes for changes in the statutory and policy requirements, together with carrot and stick incentives. The most radical option, Single Public Authorities, is flagged up as a possible direction of travel that should be piloted. Bottom up solutions also apply to workforce engagement and the report is helpful in pointing to a different approach from the top down solutions currently being promoted. Whilst I am always wary of promoting any management theory as a panacea, I do believe that we can learn a lot from the very practical approaches in systems thinking. The Commission has reflected that view in the report. It is self evident that public services should be effective and efficient. However, this is often viewed as an opportunity for those who argue for the privatisation of public services. There are no such proposals in the report. UNISON's recent report on outsourcing in England shows that more than half of councils have or are considering bringing contracts back in house. Hardly surprising after the BT fiasco in Liverpool and the Southern Cross debacle. One third of the Scottish budget already goes to the private and voluntary sector and the report recommends competitive neutrality, but as defined in the OFT evidence, only when competition takes place. That is actually already a legal requirement before any outsourcers get excited. They will also have to open their organisations to transparency if they want to bid for public contracts. The report does not comment specifically on the current consultations for police and fire services that promote national organisations. However, the criteria for reform makes it very clear that the Commission favours locally integrated solutions. No doubt there will be those who describe the report as weak on hard solutions. It is true that it deliberately avoids some contentious political issues like the Council Tax freeze, universal services etc. These are political decisions and politicians are rightly accountable to the electorate for them. However, I would argue that, for those who read carefully, this report is more radical than it first appears. Even if we didn't face huge financial pressures there is a compelling case for tackling some of Scotland's deep rooted problems. This is the first time anyone has looked across Scotland's public services, instead of a particular silo, and recommended a different way of working. Initially it is mostly about rewiring the system, that could lead to longer term structural change. But one based on local democracy, not centralisation. We were supporting the STUC 'Better Way' photocall in Glasgow this lunchtime. Really good turnout of local UNISON members expressing their anger at the attacks on their modest pension provision. The aim was to highlight the real pension scandal by comparing Fred Goodwin's pension of £13,500 per week with a typical public sector pension of £80 per week. Fred the Shred may be iconic of the greed that got us into this mess, but his fat cat pension is not untypical of lots of top bosses. They have been awarding themselves big pensions while cutting pension benefits for their workers. Then they have the nerve to attack pensions in the public sector as well. The UK government has announced another review of health and safety law by Professor Lofstedt. This follows on from the Young report and government enforcement cuts of 35% to the HSE and at least 28% to Council EHOs, alongside a 33% cut in proactive inspections. The government line is that modern work doesn't harm many people and that health and safety is a burden on business, costs employers too much and is stopping job creation. The sad reality is that 1,500 workers are killed every year and up to 50,000 die due to work-related illnesses. We have more work related ill-health now than ever with mental health a growing problem. It is telling that workplace counselling is now the leading workplace 'benefit', eclipsing health insurance for the first time this year. Is health and safety really over enforced and over bureaucratic? A few well publicised, but often wrong, examples don't tell the full story. There is actually less regulation now than 40 years ago, less paper work, less spot inspection of workplaces (only once in 38 years now), fewer prosecutions: down 50% over 10 years and in 98% of major injuries there is no enforcement action taken against the employer at all. Workplaces like offices, shops, schools are not ‘nonhazardous’. Of course you are less likely to be killed or physically injured, but these workers still face a range of risks. Musculo-skeletal risks from working with computers and manual handling, violence from customers and pupils, and a whole host of stress-related illnesses caused by bullying and harassment, by long hours and excessive workloads. Risk assessment is proportionate and takes account of the different hazards in these workplaces and doesn’t get or require the same response as higher risk workplaces. That doesn't mean they should get no protection. Far from costing too much, good health and safety saves employers and the state money. Poor health and safety costs at least £30 billion every year, paid for by the taxpayer. Employers who cause the damage pay less than 25%. The truth is that workers are made ill and killed every day due to employers failing to manage health and safety and all the evidence shows what works is clear laws, strictly enforced to protect workers from ignorant, non-compliant negligent employers. What also works is trade union organisation and safety representatives which reduce injuries by 50%. Health and safety is vital so please lobby your MP and join the 'We didn't vote to die at work' Facebook page. 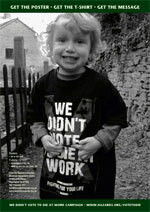 You can keep up to date with the campaign there and through Hazards magazine. It has been a busy day on pensions today with the Cabinet Secretary making an emergency statement in the Scottish Parliament on public service pension contributions. Started with several discussions with MSPs and media, mostly confused about the reserved and devolved aspects. My MSP briefing was aimed at clarifying the issues prior to the Cabinet Secretary's statement. In essence primary pension legislation is a reserved matter for Westminster. This includes the state pension scheme and provisions that cover all pension schemes like taxation. However, public service pension regulations are devolved. This includes the important aspects of scheme design, including pension contributions. In practice, as he said today, he has no control over the civil service scheme, needs treasury approval for changes to NHS and teachers, and generally follows the UK line on police and fire. The exception is local government over which the Scottish Parliament has direct control. In particular, this appears to be a surprise to the English based media. It shouldn't be as our local government scheme is significantly different from the scheme south of the border. If pensions aren't complicated enough we then move on to the Barnett formula. In December the Cabinet Secretary wrote to us saying the Scottish share of the £2.8bn cash grab from the Treasury was scored against the Barnett formula. So if he didn't increase contributions then that would cost Scotland £375m. This was made up of £140m for local government, around £140m for the NHS, £60m for teachers and the balance from the smaller schemes. We challenged that assessment as it didn't tie in with my reading of the Treasury Barnett paper issued with the CSR. In March we got a 'clarification' from the Cabinet Secretary that only the NHS and Teachers were scored against Barnett. For the rest there was just an 'expectation' from the Treasury that Scotland would do as they wished. Well I have an 'expectation' that my golf handicap might improve, but in reality that's not very likely. You would have thought that an SNP Cabinet Secretary wouldn't feel obliged to kowtow to a Treasury 'expectation' either. For example, when Scotland introduced free care for the elderly the then Scottish Government suggested to the Treasury that they might like to hand over the savings in welfare benefits. Not surprisingly they got short shrift. Today's statement now gets a bit more confusing, added to by John Swinney's answers to questions. The NHS and Teachers Barnett consequences appear to have risen from £200m to £235m and the overall Treasury expectation from £375m to £400m. I know inflation is rising, but that's a lot over a few months! Then he avoided answering the direct question of what he would do about LGPS contributions. I hope I am wrong, but that begins to sound like him spotting an opportunity for a bit of Scottish 'tax' raising at the expense of local government staff. His analysis of the UK government's plans was spot on and we have welcomed that in our response. This is an unfair and unnecessary attack on public service workers. These additional contributions are not necessary to fund pensions in Scotland; they are simply a ‘tax’ on staff to pay back government debts that were raised to bail out the banks. Incidentally, with classic bad timing, RBS announced £1m share payouts for Directors. You couldn't make this up! We also welcomed his commitment to further dialogue. Nobody wants a major industrial dispute in Scotland. So we need to find a better way to avoid large scale opt-out that will wreck the schemes and leave both governments with longer term costs. The latest stage in the Clyde Valley shared services saga has councils apparently agreeing to pursue further a range of proposals. Let’s be clear, there is nothing wrong in principle with councils and other public service organisations sharing services. Many of the initiatives being pursued across Scotland reflect the absence of a regional level in Scottish local government for appropriate services. What is almost always wrong is the large ‘back office’ shared service model being considered in Clyde Valley. Consultants come along and produce a model that looks logical based on economies of scale. They offer the prospects of job and cash savings, in this case apparently 1000 jobs and £19m to £29m revenue savings. However, this is illusory because this model almost never delivers. Experience shows that the savings rarely materialise and certainly not at the level to justify the up front expenditure involved. Transaction costs increase and work is simply displaced onto other staff. Not just our experience, but reflected in studies from the USA and Australia as well as in England. More details in the UNISON Scotland briefing. Let me illustrate this with two examples I was personally involved in negotiating, not from the public sector, but from the supposedly lean and efficient private sector. These happened over ten years ago, so we can now properly evaluate their effectiveness. The second example comes from another very large Scottish company that decentralised its IT functions to each operational division. It used to be centralised, but some 15 years ago they followed the then management fad, promoted by guru Tom Peters, and split it up. Then a new consultant came along and persuaded them that the future was in shared services and outsourcing. That’s what they did and five years later the Directors of Finance and HR came to me furiously exclaiming that the operational divisions, had in effect, reinvented their IT units. Why? Because they quickly discovered they were paying over the odds for a range of administrative tasks that their own staff could do cheaper and quicker – just like they use to do! Result, the company was paying twice for the same service and their total IT costs were enormous when benchmarked against similar companies. Anyone considering creating shared service factories should also read John Seddon’s book ‘Systems Thinking in the Public Sector’. He also gives a range of examples of why this approach simply drives up transaction costs because the new service ends up mainly dealing with failure demand rather than resolving the real issues. The shared service managers produce impressive looking statistics showing all the calls they have dealt with. The problem is that they are measuring transactions not solutions. Anyone who has dealt with a service call centre will have experience of being passed around the system. Well that’s what this type of shared service does in buckets. Then we have the process. The Clyde Valley initiative is a classic example of how not to do it. To be fair, Sir John Arbuthnott in his initial review was a model of openness. But when the project went back to the local authorities for development they reverted to their traditional industrial relations model. Disappear into darkened rooms with the consultants, work up a proposal and only bring it to the staff and their representatives when they have invested lots of time and money. As a consequence they feel the need to defend their solution, even when the obvious practicalities invade the model. Not surprisingly, the staff who have been treated like mushrooms, react sceptically and conflict develops. Shared services can make a positive contribution to effective and efficient public service delivery. But adopting models that have already failed world wide and failing to properly engage staff who deliver the service, is not the solution. The Welfare Reform Bill is back to the Commons this week at the Report Stage. One of the most dangerous provisions relates to including Housing Benefit in the new Universal Credit. Under the current Housing Benefit rules, council and housing association tenants can choose to have their Housing Benefit paid directly to their landlord. There is also a provision, where a tenant is in arrears of rent by eight weeks or more, for the council to request that Housing Benefit is paid directly to the landlord. This is a vital provision that ensures that the rent is paid and not spent on other items. Tenants on benefits have a tight budget and with energy and other bills rising, there is a real risk of non-payment and growing rent arrears. This will lead to the need to reinstate an army of rent arrears staff and could undermine the credit rating of housing associations who need to borrow to build new homes. Shelter Scotland recently warned that the Scottish Government's target of building 6000 new homes was already looking challenging. This will make it even less likely. The UK Government appears to believe that Direct Debit is the solution. It isn't. Many tenants don't have bank accounts and even if they do, Direct Debit doesn't guarantee payment of rent. 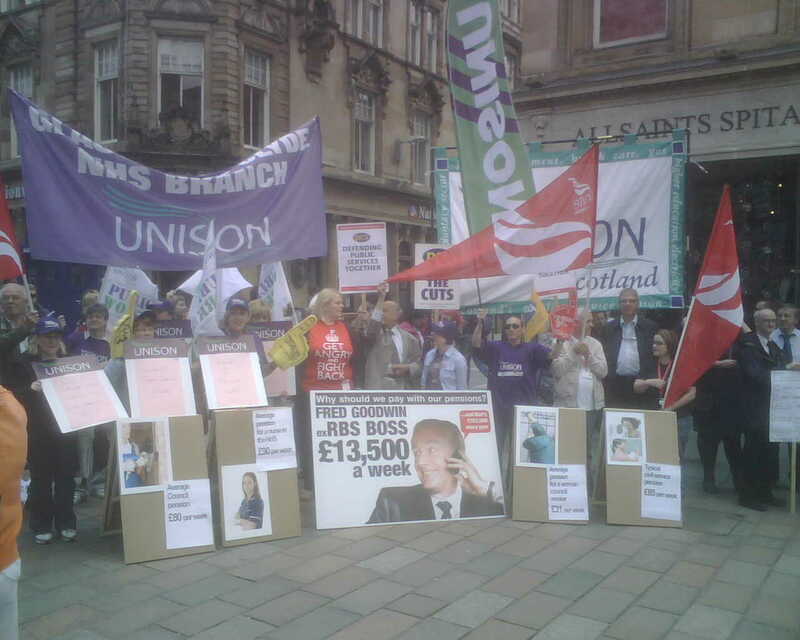 UNISON Scotland represents some 2000 staff working on Housing Benefit. It appears that the DWP believes it can administer this benefit through call centres instead of having local offices where Housing Benefit staff can speak directly to claimants, explain issues, answer queries and inspect documents (such as tenancy agreements) which otherwise would have to trusted to the post or scanned. There are real equality challenges for those with disabilities about losing local offices and staff and many vulnerable claimants may find it more difficult to access the Universal Credit system. More on this in our briefing to MPs. The cuts in Housing Benefit will have a serious impact on many tenants in Scotland and across the UK. They are bad enough, but these administrative changes will have far reaching consequences for social housing in Scotland. The Water Industry Commission has published its annual report. The report gives more evidence of the benefits of having water as a public service in Scotland. Stable prices, improved customer service and reducing leakage this year. The report makes some fanciful claims about the benefits of competition in the business retail sector. There is little here that could not have been achieved by a water efficiency programme. We could have saved the millions spent on regulatory systems, rebranding etc. There is much emphasis in the report on cost savings at the WIC. Not surprising after a series of investigations by the The Herald has highlighted lavish expenditure. The latest was spending about £1000 a month ferrying around senior executives, including trips home from an expensive restaurant for its chief executive, Alan Sutherland. The WIC Chair, Sir Ian Byatt is leaving the Commission this month. This former privatisation advisor to Margaret Thatcher was a very bizarre appointment to this post. He has campaigned relentlessly in favour of privatising Scottish Water and has cost the water charge payer a small fortune for stepping well outside his remit. Again we can thank The Herald for investigatory persistence. As I have called for Sir Ian's dismissal on several occasions the decision to replace him is very welcome. I am not expecting an invite to his leaving do. Cherio Sir Ian, you will not be missed! The discussion on public service reform in Scotland quickly focuses on the number of councils, police boards etc. The argument goes that we have too many for a country of 5 million souls. This was repeated by the Independent Budget Review and others. While we do have a lot of different organisations delivering public services, do we really have too many councils? If we take a wider European perspective the answer is clearly no. Scotland actually has the smallest number of councils per head of population in Europe. Similar size Scandinavian countries can have between three and six times more councils. Even in England, councils are on average nearly a third smaller. By the way, they have more councillors as well. The big difference is that they don't have all the unelected quangos or other fragmented provision that we have in Scotland. Services are integrated at a local level under democratic control. Even services like policing that some in Scotland argue can only be run on a national basis. The other big difference is finance. Across Europe local government raises much more of its finance for local services locally. In Scotland and across the UK councils are heavily reliant on national governments. Since the Council Tax freeze Scottish councils are now entirely reliant on national spending decisions. This also breaks the link between voting and paying for services. When you make that link issues like the so called 'postcode lottery' become less significant. Finally, does any of this matter if the outcome is the same? While a direct causal link is difficult to establish, it is the case that countries with more decentralised local government achieve better outcomes for all their people. It is at least arguable that this is because they have a better focus on the needs of very local populations. Many of Scotland's councils are not 'local' at all, they are regions. In the current public service reform debate there is a risk that we take a simplistic view of the structure of public services. The picture is more complex, but it is clear that a strong, democratically accountable local government is an important part of the solution. By European standards Scotland has a relatively weak local government structure. Last night's Panorama was a shocking example of abuse in a private residential unit for people with learning disabilities and autism. It is one of many stories about the privatisation of care that I have highlighted in a blog this morning on the UNISON Scotland site. This all adds up to an urgent need to review our approach to care in Scotland in the context of a population that will be increasingly dependent on care. Let us be clear, there are thousands of dedicated care workers in the public, private and voluntary sector. Incidents such as those highlighted in last night's programme are thankfully the exception. However, looking at the cases that cross my desk as head of legal services in recent years, I have become increasingly concerned over the treatment of staff and the impact on care. There are too many cases of very poor treatment of staff in the private and the commercial end of the third sector. If staff are treated badly then it must have an impact on the quality of care. All of this means we should take a careful look at care policy in Scotland and the UK.